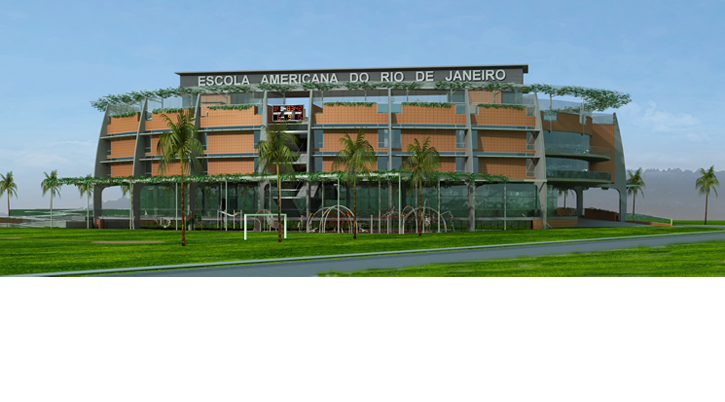 Aventūr founder, Gary Johnson, is leading the design of this new private school to be built in Barra da Tijuca, the district hosting the 2016 Summer Olympics. With mountains in the background, the site is developed with the oval shaped school building, a soccer/softball field, playground and surface parking. Sport courts and running track are located on the rooftop. Planter boxes and trellises are integrated into the exterior architecture — an exposed concrete structure clad with terra cotta tile.